Karolina Kucia (b. 1978 in Poland) graduated as Master of Arts in 2004 from Poznan Art Academy, and studied Performance Art and Theory Studies in the Theater Academy in Helsinki. Between 2004 to 2008 she has been part of Kukkia group (Karolina Kucia and Tero Nauha). From 2007 she is part of the interdisciplinary Mollecular Organization. 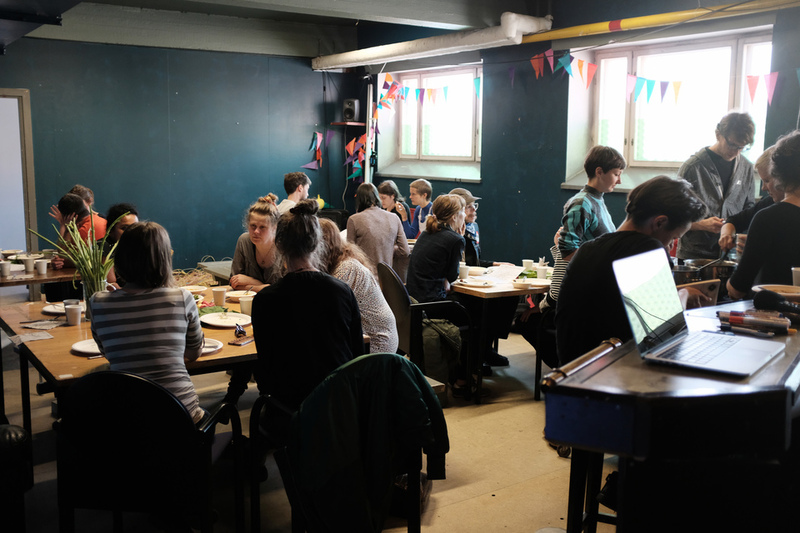 Between 2011 – 2012 working and co-creating Future Art Base, Art and Economy in Aalto University in Finland and Robin Hood Minor Asset Management Cooperative. As visual Artist Kucia is mostly working with performance, directing group processes, sculpting, video and animation making. Recently her main interests are lapse, automatism and parasite. Waleed Rashwan, a welfare project coordinator with experience on empathy as a social change tool. He coordinated a project in Upper Egypt to help the inhabitant of Hessa island to recover from the implication of poor economic condition. He is interested in the use of art as a mean of resistance and to create better life opportunities for the most vulnerable people in Upper Egypt by providing them with tailored training. At present Rashwan is setting up an international art and volunteer collaboration. He is interested in working with a visual artist and musician for a collaborative charity project. Due to communication challenges and changes in the scale and structure of Pixelache festival in Helsinki we have had only little opportunity to work together. Anastasia Artemeva is a visual and relational artist, born in Russia, raised in Ireland, and currently based in Helsinki, Finland. Her work is developed through a process-oriented artistic practice, drawn from installation art, art education, and research in human rights. Anastasia Artemeva works with the subject of imprisonment, particularly focusing on relationships and ways of communicating and co-creating. She maintains an online resource on collaborative practices in and around prison. Artemeva has received a First Class Honours Degree in Sculpture and Combined Media from Limerick School of Art and Design in 2012. Artemeva has a Master’s Degree in Visual Culture and Contemporary Art (Environmental Art) from Aalto University in 2016. Anniina Ala-Ruona is a Helsinki based artist and art educator working in the interface of performance, visual art and pedagogy with an emphasis on various ecological theories. 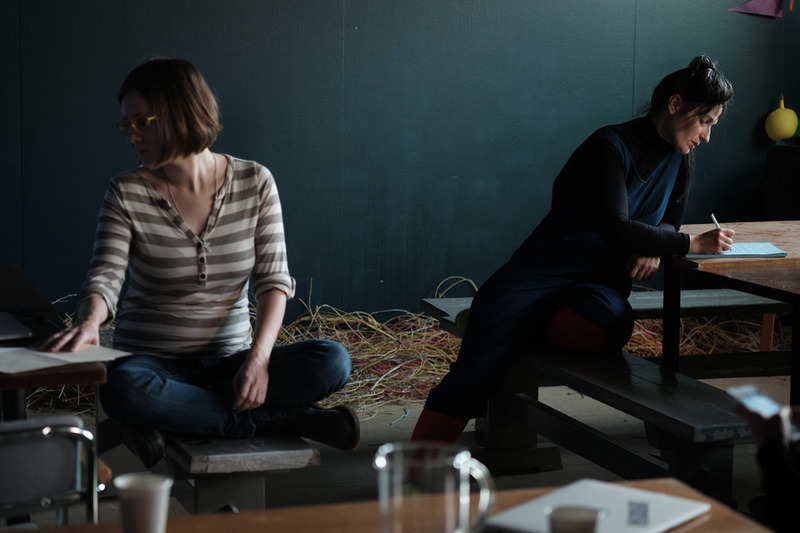 Currently she operates mostly with embodied, experiential and participatory practices in forms of performative installations, workshops and various types of open events. Ala-Ruona graduated from Master's Programme in Art Education at Aalto University School of Arts, Design and Architecture in January 2016. Her thesis is an artistic research examining how embodied and relational practice can deepen our ecological thinking and understanding of being-with. At the moment she is studying in the Master's program in Ecology and Contemporary Performance, in Helsinki Theatre Academy. Shelley Mina Etkin is a transdisciplinary artist, moving in-between geographies of Germany, Finland, the United States, and Israel. She works among realms of dance, performance, ecology, queer feminisms, curation, and community organising. Rooted in multiplicities of bodies, places, and politix, Shelley works independently and collaboratively in a range of environments from urban to rural, in private nooks, studios, stages, and public spaces. Shelley has been based in Berlin since 2012 and works closely with Ponderosa as gardener, facilitator, and co-organizer. She is also a member of COVEN Berlin, a genderbender collective hosting live events and an online platform. Shelley performs in Vagittarius Rising, an experimental feminist fake band duo with Agnė Auželytė. Shelley holds a B.A. in Gender Studies, with a focus on embodied arts activism and is currently in the process of M.A. studies in Ecology & Contemporary Performance at the Theatre Academy in Helsinki, Finland. 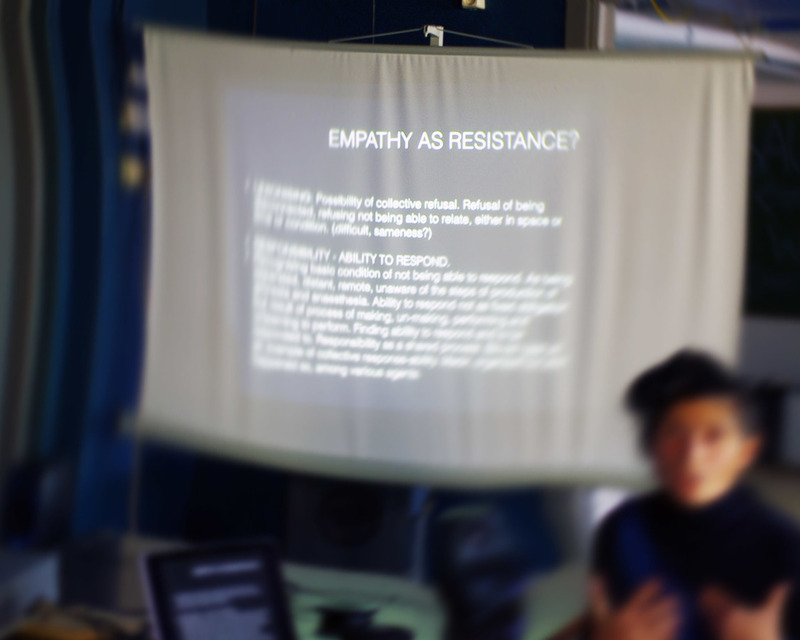 At Pixelache Festival, Local and De-Centralised, the Empathy as Resistance working group provided a five-hour long event, which featured three sections, to present individual projects and discuss relevant questions that they bring up in relation to Empathy as Resistance. Anniina and Shelley are co-creators of Garden of Others project: The garden is near Arabia, a very small plot near the Vantaa river. In our project we are ask: who makes the borders, who makes the garden, who defines the area, and that’s why it’s not about the area where “the plot” is, not where we put the “borders”, but rather about the space and the people who walk around and their gazes, and their relation with Guerrilla gardening. Who is it for, who does it serve, different attention to give to it? There is some direct art action such as performance, but we see the whole area, even there where we don't work, as a garden. It is a squatting experiment. We have been inspired by Paulina Fedoroff, who speaks about the need to create a personal relation to land and then what if you don’t have the money to pay the city so you could have a plot for yourself. We have contacted urban gardeners in Helsinki, and all of them said that the easiest way is to it in Guerrilla way. 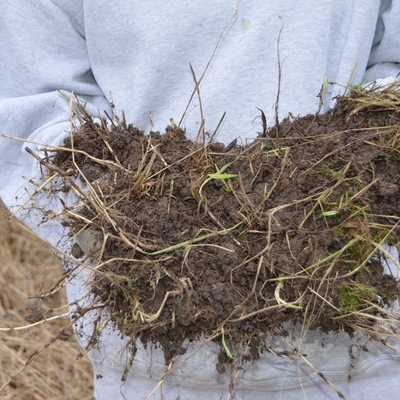 Actually when you do it, you are taking care of the land, so then comes the question as to why wouldn’t you get the permission to tend to a small plot of land which is not used, which is is basically just leftover or a wasteland. This land it is not just for us, there is a lot of life there. There is an entire world of logics that are happening at the same time, that are also don’t have anything to do with the city or with humans at all. 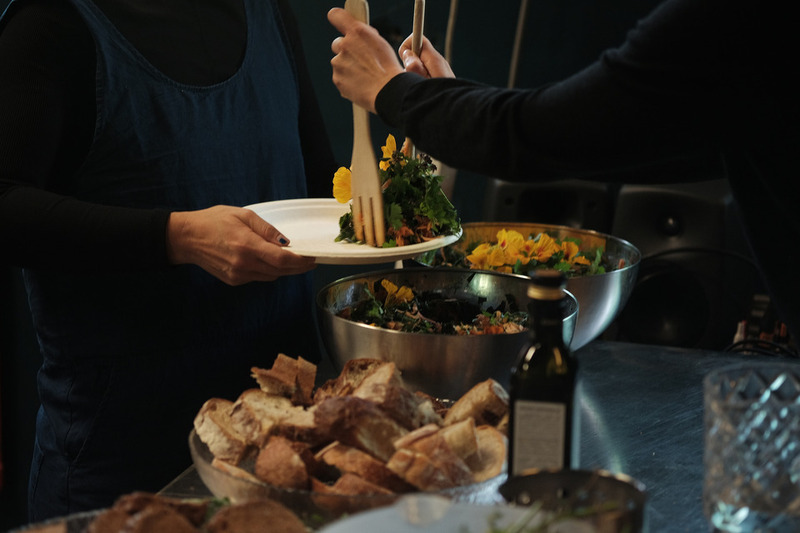 At Pixelache Festival, we served a lunch that was made from ingredients from the Garden of Others, a communal home garden in Kumpula, and a biodynamic farm in Sipoo. The remaining ingredients, which we could not source locally, we purchased. The lunch was offered for approximately 20 guests. The meal was served in three courses. The first course was massaged kale salad, with carrots, oil, and salt alongside gluten free and wheat bread with a wild pesto spread with wild-harvested herbs. The main course was caramelized pumpkin and root vegetable soup with coconut milk. The final course was dessert of zucchini bread with homemade rhubarb sauce, featuring a vegan and dairy option, both of which were gluten free. The meal was framed with the support of Hakim Bey and the Temporary Autonomous Zone, which was also forming and effecting our work in the squatted Garden of Others. 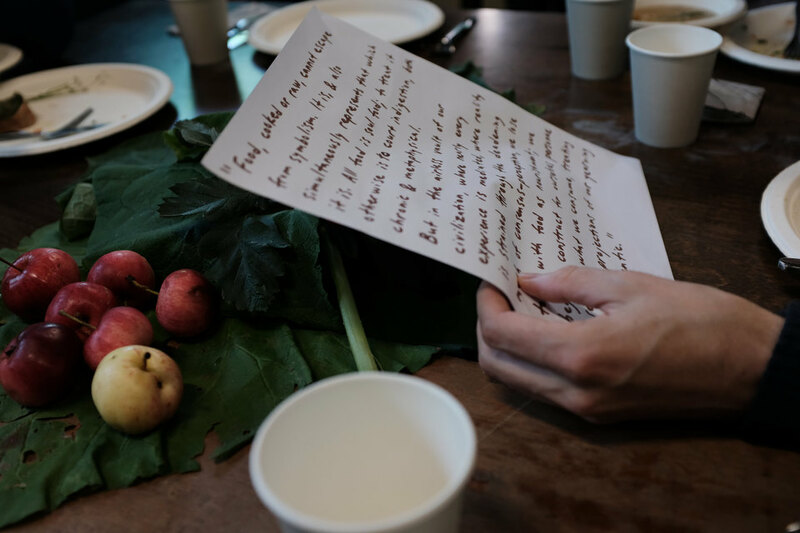 At each of the tables, where guests were seated, had a written quote from Temporary Autonomous Zone, dealing with dinner parties, food, politics, collective gatherings, and revolution. These were offered as food for thought and prompts for discussion. While serving the food, we invited guests to bring attention to how the food was impacting their ways of thinking, speaking, and being. The overall atmosphere of the meal was pleasurable, though the space was quite ragged (or rough) and everybody left with a full belly. There was some movement of the guests between the seats and tables throughout the event. The focus was on the food and coming together through sharing a meal, keeping it simple, and it created a lively and intriguing happening. At the festival I presented part of the research material for the project I am doing together with Tero Nauha. It is a fiction film we are working on in Andalucia in Spain. I have presented our collaborators from there -- the workers from the Almeria region, who are part of a workers union called soc-sat. It is formed by the workers union merged with the field workers union. They work in the plasticulture, which produces a large amount of vegetables for the European market. This kind of farming began in the 1970s and has been called, in that region, the Almeria miracle, bringing one of the poorest regions of Spain into the economic race. This model of farming has spread into Egypt, Jordan, Morocco, Tunisia, New Zealand, and South Korea, among other countries. There are three factors ensuring the continuity of vegetable production in this region. First is the highest amount of photosynthesis, due to the highest amount of sunny days in Europe. Another factor is enough cooling winds to ensure continuous workflow in the fields. And the cheap labor force, mostly from North Africa and Sub-Saharan region, Eastern Europe, and South America. The workers union, due to their history in Spain after the reign of Franco. One of the most famous stories that this soc-sat has been involved in, was the communist village Marina Leda, which continues to this day. I showed some video material (embedded) featuring an interview with Spitou Mendy, who is the spokesman for the union, clarifying the situation of the workers in that area. I present this case in relation to Empathy as Resistance, to draw from the old strategy of unionizing, as a strategy of collective refusal, the refusal of being disconnected. This treats ‘Responsibility’ as the ability to respond, as something that happens in process, starting from the sense of not being able to respond, by making, unmaking, and recognizing the ability to respond as a shared process among various agents. At Pixelache Festival, I had a visual presentation of my ongoing project called Prison Outside. I presented processes and challenges that I faced particularly working with institutions. 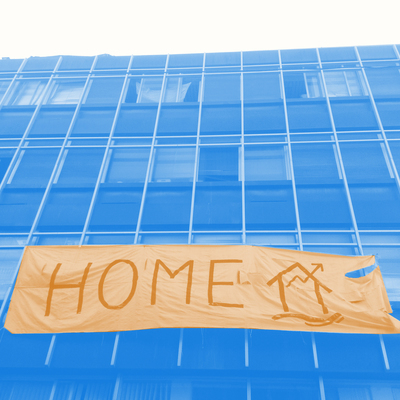 These institutions include NGOs, state-run correctional facilities, and art institutions as well as funding bodies. I spoke about different roles I have experienced taking on as an artist during the production of socially-engaged projects based around the subject of imprisonment and presented in collaboration with men and women recently released from prison or who are on probation. These roles were: listener, representative or one who represents, collaborator, and judge. Following this, there was an open discussion amongst all those present through the presentations, about different methodologies that are employed in my projects. These vary from a collectively designed artwork such as a play to open hands-on craft workshops. The direction and approach to engagement of the collaboration depended on each group gathered and the institution involved. I like to look at the institution as another member of the collaboration and navigate accordingly. Working with an undefined position of art within the project creates resistance to the question of who defines what the project is as well as who defines its artistic value. Initially we envisioned a feedback structure to exchange regarding our individual projects, the development of the concept of empathy as resistance, and producing the outcome for the Pixelache Festival. The challenges to achieve all of these goals included lack of time and difficulty structuring the work. This framed our working time, due to the consideration of how we would like to share our projects in the context of the Pixelache Festival. Sharing our work in the context of the Pixelache Festival did offer us each an opportunity to open up our projects to the public. 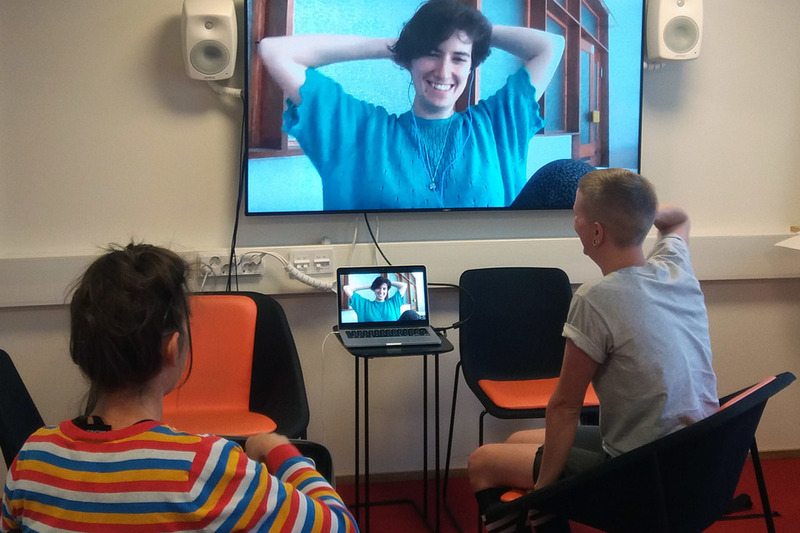 This allowed us to share and observe how the different projects and approaches sit next to one another, in relation to the topic of Empathy as Resistance. We have attempted to come up with questions that are on the subject of empathy as resistance, yet relevant to our own personal practices and different interests. This served as a good method for planning our meetings and framing our discussions. 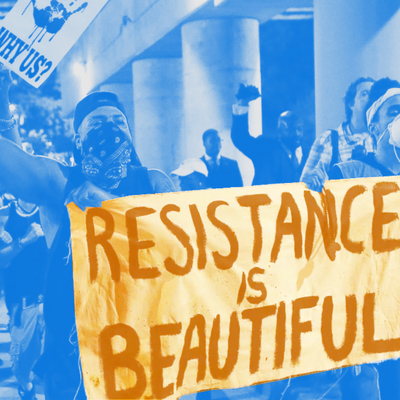 Considering the reality of the pressures for producing a project, perhaps there could have been an even smaller-scale strategy for making the work of this Empathy as Resistance project possible. Regardless, our meetings were enjoyable, and getting to know one another, our work and backgrounds have been enriching. Maybe meeting each other is enough.